Click on an image above or scroll down to learn about who we are and how we can help. We are a seasoned group of mental health clinicians who are committed to providing the highest quality care and service for children, teens, adults and the elderly. As professionals we have been able to come alongside our clients, offering support, hope and solutions for their emotional, transitional and clinically significant challenges. Amy received her Masters in Social Work from the University of Illinois at Urbana-Champaign. She has worked in the mental health field for many years with adults and adolescents in various settings, including inpatient mental health, community mental health, social services in nursing home care, Employee Assistance Programming (EAP)/managed care and school based services. In addition to working at Providence, Amy is also employed as a high school social worker working closely with students, their families and other school personnel and outside resources. In addition, Amy is a trainer for Mental Health First Aid and Youth Mental Health First Aid. Amy uses a client-centered, collaborative approach to therapy, influenced by a variety of treatment modalities. She addresses a broad range of emotional, behavioral and adjustment issues including anxiety, depression, loss, life changes, relationship conflicts, academic concerns and parenting struggles. Amy provides therapy to children, adolescents, adults and families. Pam has always believed that each person needs a place where they can share themselves: to share their fears, worries, struggles, thoughts, joys, triumphs, pain, grief and know that they will be heard. That during these conversations, clarity and understanding can be found, hurt and pain can be lifted and life renewed. Pam’s goal and focus was to equip herself with the skills to not only listen but have knowledge and skills to come along side others. 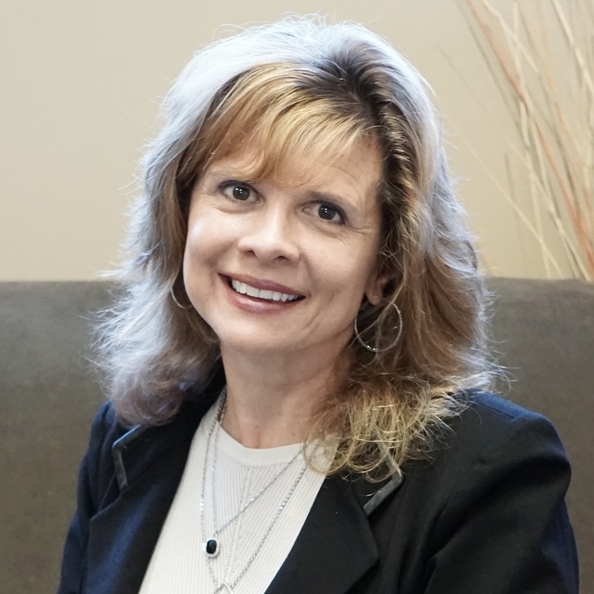 As a result, Pam pursued a degree in Psychology from Simpson College in Iowa and completed her Masters in Human Services and Counseling from DePaul University in 1981. Pam’s career started at the DuPage County Youth Home working as a group worker with incarcerated youth. She then became the Program Director for TAG (The Attention Group), a girl’s group home in Naperville. From there her experience led her to the Kane County Truancy Program working with truant youth and their families. That position moved Pam to Director of Youth Services and Big Brothers/Big Sisters, along with providing counseling at Family Counseling Service in Aurora. After 13 years at Family Counseling, Pam took a counseling position at Wheaton Youth Outreach and after 10 years, there she joined Diann Anderson in 2001, now Providence Counseling Associates. Through the years Pam has led numerous parenting classes, marriage seminars and groups for victims of sexual abuse and dysfunctional families. Her expertise and professional focus has been on issues of anxiety, depression, grief/loss, life transitions, sexual and physical abuse, parenting concerns, marital struggles, infidelity, building trust, communication, stress, adult children of alcoholics, school refusal and oppositional defiant behavior. Pam offers pre-marital counseling and faith based counseling when requested. April spent a good portion of her professional life as a Licensed Clinical Social Worker in Naperville district 203 where, for over 25 years she counseled hundreds of adolescents and their parents through seasons of crisis and transition. April loves private practice because it enables her to walk through those crises and those seasons in an even more in-depth manner. Having worked in the school system for many years she understands how school stress can affect a student’s functioning academically, socially and emotionally. And she understands how it can be difficult for parents to navigate these stressful times. April has expertise in the areas of depression and anxiety, sexual and physical abuse, substance abuse and the challenges that married, divorced and blended families face. She has a heart for the particular pressures with which individuals and families deal as they encounter periods of grief, loss, uncertainty and transition. Therese enjoys working with adolescents and adults in individual, couples, and family therapy. She is dedicated to providing a safe and supportive place where her clients can bring their struggles. Therese considers it an honor to help others work through and thrive amidst some of their most difficult challenges in life. 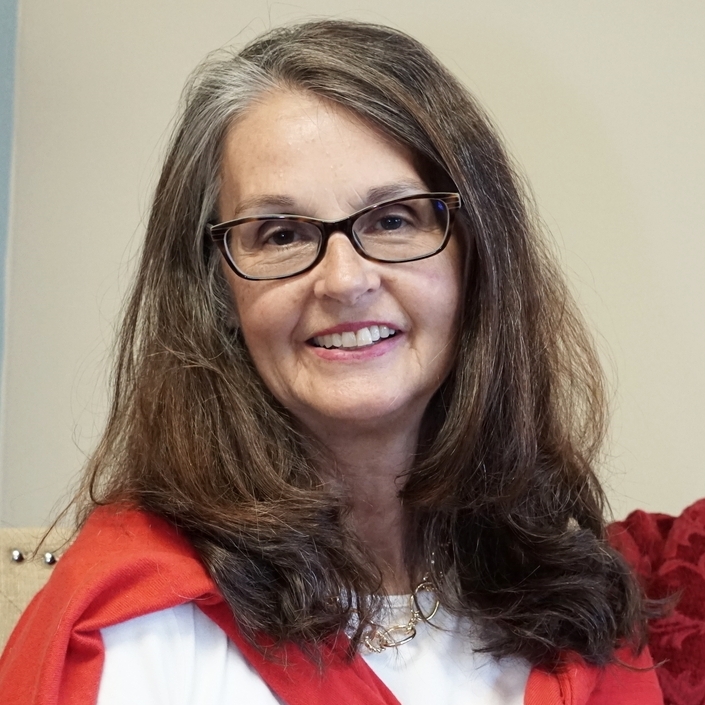 Therese received her Master of Arts degree in Clinical Psychology from Wheaton College. She is a Licensed Clinical Professional Counselor. In her earlier career as an Occupational Therapist, Therese worked primarily with individuals facing neurological impairments. Her understanding of the interconnections of mind, body and spirit enables Therese to consider the whole person in the therapeutic relationship, not just the problems they may be facing. Therese has received additional training through the EMDR Institute and, when appropriate, utilizes EMDR (Eye Movement Desensitization and Reprocessing) to promote healing from trauma or disturbing life experiences. Therese's experience includes helping individuals and families through times of loss, including bereavement, divorce, illness and other significant life transitions. Additionally, Therese is passionate about helping individuals heal from, and move past, trauma or emotional pain that has kept them feeling "stuck" in life. Leading divorce recovery groups, providing parenting/co-parenting education and addressing the particular challenges of adolescents and young adults have also been areas of focus. Feeling lost and confused about life is an incredibly painful and frightening place to be. The gift of therapy allows us to discover that that the presence, patience and compassion of another person can draw us out of this painful place and into a sense of new life and possibility. Stephanie considers the ability to work in a therapeutic career to be a gift, and is grateful to join clients on their journey. She received her Master’s degree in Clinical Psychology from the graduate school at Wheaton College. She is a Licensed Clinical Professional Counselor in the state of Illinois. Stephanie has worked in a variety of settings including a wilderness treatment program for adolescent girls, a domestic violence agency and a college counseling center. Stephanie has a compassionate and gentle demeanor. She utilizes a relational-base, focused on increasing awareness, acceptance and self-determination so that clients feel empowered to take the next steps in their journey. She takes particular interest in working with adults who are struggling with various trauma-related issues including domestic violence and abuse, survivors of childhood abuse and emotional neglect, family discord and violence, as well as self-injury, mood and anxiety disorders, codependency, women’s issues and complicated grief and loss. Phyllis provides counseling to children, adolescents, adults, couples and families. Her area of expertise is helping children through life challenges such as loss through death or divorce, separation anxiety, and school adjustment problems. Phyllis uses a combination of play therapy, cognitive behavioral therapy, and parent coaching. This includes working together to better understand the child’s temperament in order to develop effective parenting strategies. Phyllis believes in providing a safe, supportive, and respectful relationship within which clients can work to better understand their emotional pain, access their strengths, facilitate healing, and move forward on their personal goals. She believes that the need to develop “the self”, to be true to one’s self, respect and reconnect to one’s self, is central to many client struggles. She works to help clients get back on track so that they can be more emotionally supportive to themselves, their partners, and their families. Phyllis’s clinical specialties include: temperament-based parenting, adoption issues, grief and loss, depression, anxiety, and life-stage challenges. She has extensive experience and has worked in a variety of settings including an early childhood school program, special needs adoption, and private practice. Phyllis has a Master of Arts Degree in Social Work from the University of Chicago and is a Licensed Clinical Social Worker.